We start with generating ideas around a particular need, a want, and/or a gap in the market. These ideas come in the form of descriptive words, found images, sketches on a napkin. Whatever allows for a jumping off point that generates more thoughts, interpretations and feelings to be documented for future development. Conceptual engineering design is define as that phase of developing a product in which the designer takes a specification for a product to be designed and generates on many broad solutions. At A. G. Design Engineering Consultancy, we ensure utmost consistency in conceptual engineering design throughout the entire product design and development process. Our engineers have capabilities in providing solutions throughout the product development process and are skilled at capturing conceptual design data through operational, technical or system reference models. 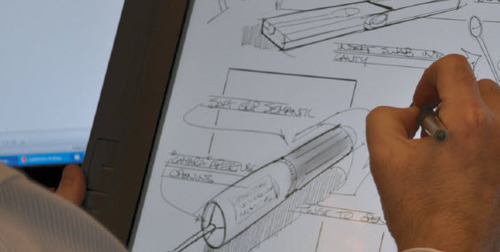 We provide conceptual engineering design for unique products that can help our clients in saving time and money by allowing them to determine whether there is a market for new products or not. Our experienced team of mechanical engineers is committed about the quality of the solutions they deliver and ensure that quality and consistency in conceptual engineering design is maintained through out the process using appropriate technology and effective quality. Our focus is on giving our clients a totally unique experience and we believe that our clients' trust in us is our greatest strength.